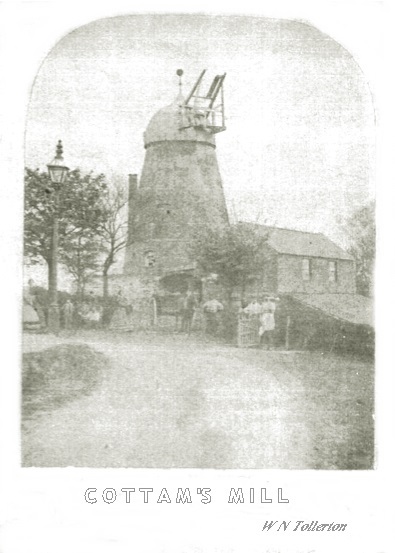 James Mayfield was a boot and shoe dealer at 19 Waterside North (a little west of the present Mayfield Bridge), he was born in Louth in 1805. James noticed that the shops in the Sincil Street area south of the river were much busier than his was. 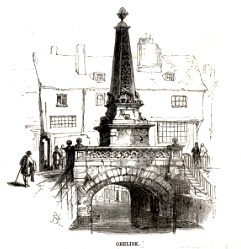 The nearest crossings of the river were at High Bridge and Magpies Bridge, he had little passing trade from the Sincil Street area. 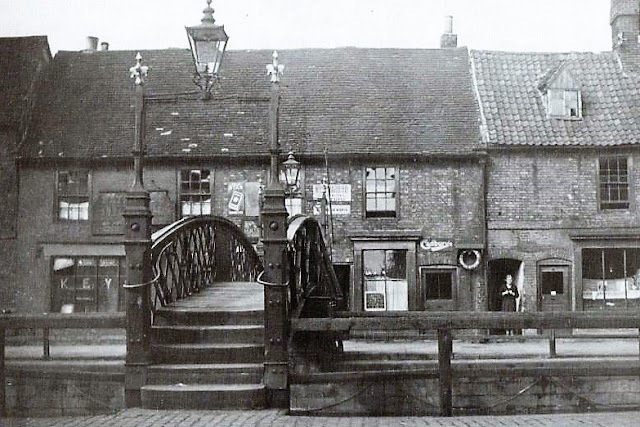 In November 1867 he asked the Corporation to contact the Great Northern Railway (the lessees of the river Witham) to get permission to build a bridge over the river at the north end of Sincil Street. “The Mayor remarked that there was already an order on the books for the erection of a bridge on the site Mr Mayfield mentioned, and when the funds of the Corporation admitted of it, no doubt the bridge would be erected. (Laughter)” - Lincolnshire Chronicle 23/11/1867. 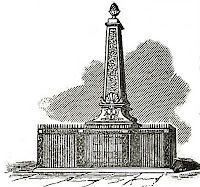 The Corporation asked for tenders for the manufacture and erection of the bridge, the following quotations were received: M Penistan, Lincoln, £147; D Barnes, Lincoln, £160; F Binns, Lincoln, £170 6s; C de Berne and Co., Manchester, £185; J T B Porter and Co., Lincoln, £216 3s. 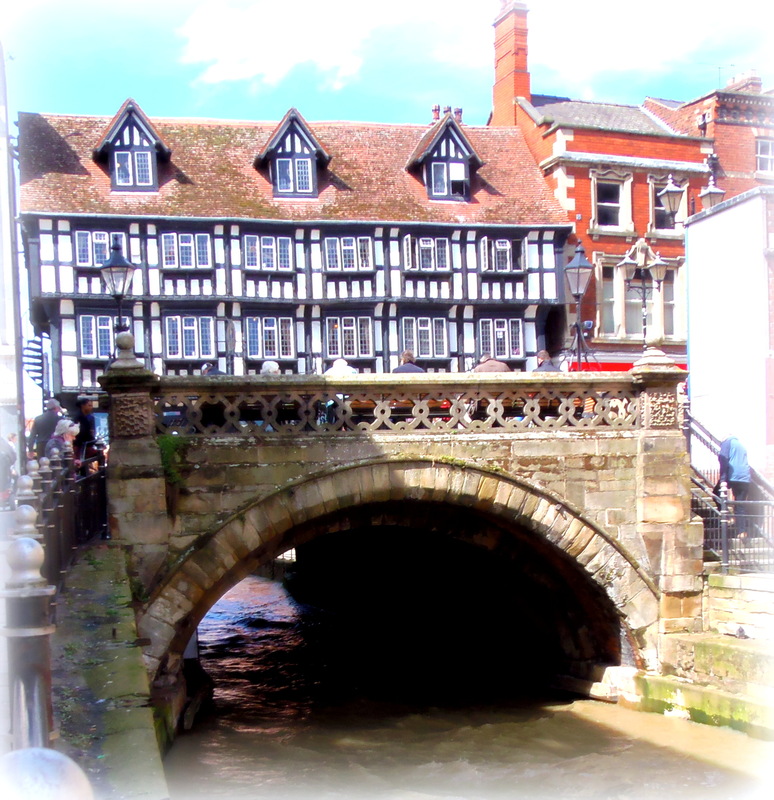 The bridge was completed in April 1869 at a total cost of £154 2s (£154.10) and designed by Drury and Mortimer of Lincoln. 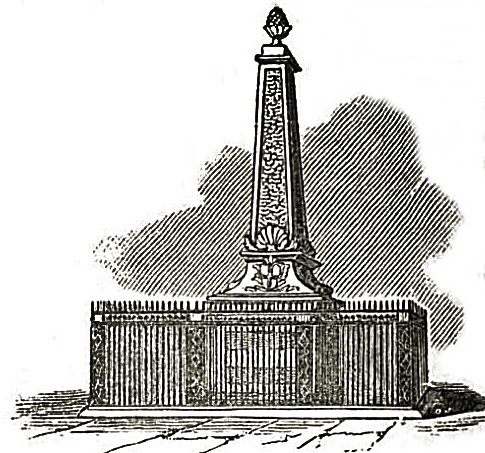 ‘Sackville’ gas lanterns were fitted at each end of the bridge; patented by Gregg and Son of Dublin they were circular in plan and free from sidebars which would otherwise cast broad shadows, a reflector in the top enhanced the light from the lantern. The 1869 bridge, the New Bridge Inn on the left and Savoy cinema on the right. 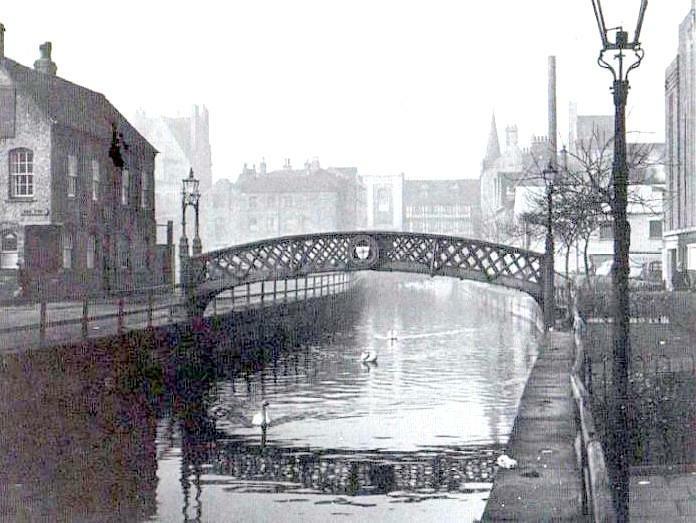 Penney and Porter Ltd surveyed the bridge in 1923, in their opinion the bridge was unsafe and submitted a quotation for the supply and erection of the ironwork for a new bridge. 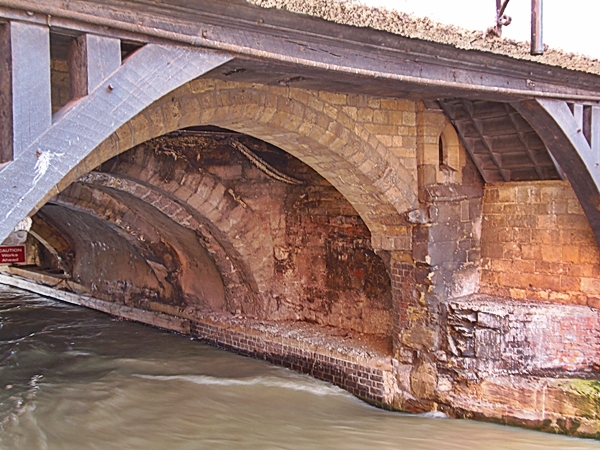 The bridge was periodically repaired but no major restoration works were completed. The condition of the bridge was next raised at a Corporation meeting in March 1940. It was at this meeting that the nickname for the bridge was coined: ‘The Bridge of Sighs’ due its poor condition. There were concerns about movement of “people from places of entertainment in the case of an air raid”, due to its condition and lack of width. The bridge was further discussed in September of the same year and it was agreed that due to the war it would be difficult to find sufficient materials to restore or replace the bridge. The original bridge was eventually replaced in 1958, this bridge was replaced in 1991 and again in 2001. 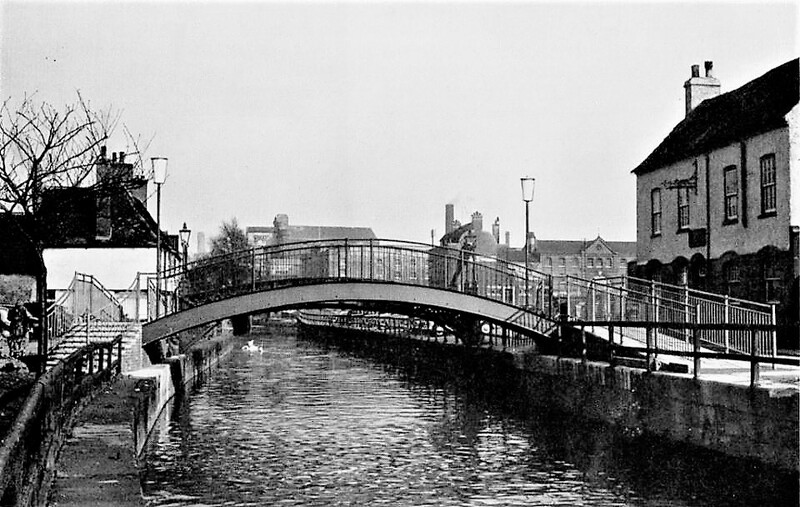 The 1869 bridge and the 1958 bridge shortly before the removal of the earlier bridge. 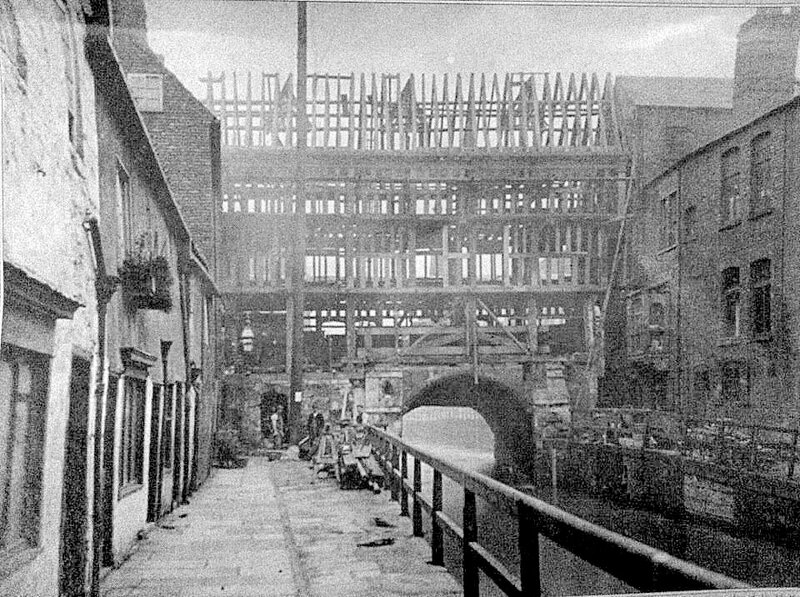 Note the wooden planks used to support the side of the 1869 bridge. ​What of James Mayfield? James sold his boot and shoe business to Thomas Mawby in 1874 and became licensee of the Globe Inn on Waterside South, moving to Edmonton, London in 1881 to open a boot and shoe shop; he died there in 1887. 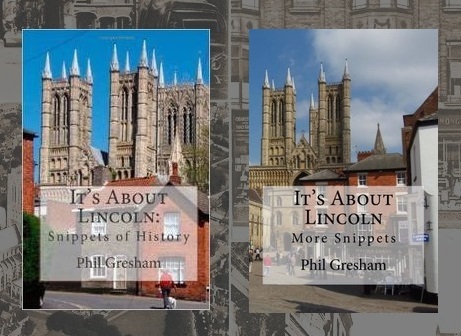 It's About Lincoln has its own groups on Facebook where you can read about the city and county, and contribute to the growing knowledge of our members or just read the posts.